Even if it's a rest day or you just don't have time to get in a workout, here's why you should still set aside a half hour and get walking. We know that we need to get moving—one of the worst things you can do to your body is sit too much—but how much activity is enough? The good news is, you don’t need to be a marathoner in order to have a healthy dose of cardio daily. A simple 30 minute walk is all it takes to reap the many benefits of movement. 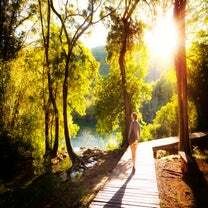 Cardio of course is great for your heart and your cardiovascular health, but here are a few of the other benefits of a short walk a day. Those steps help improve our circulation and promotes healthy blood flow from our heart to our limbs, brain and everywhere in between. This is why short walk breaks are stressed for those who sit for long periods of time (especially long car rides or plane rides), so that blood keeps circulating and blood clots do not form (some are more at risk for this than others). So get that blood moving! When we think of losing weight, it is easy to think of super sweaty high intensity workouts. But, that isn’t always the case. Walking regularly can actually help do the trick. Boosting your metabolism in order to curb cravings, improve sleep and improve circulation are all a part of weight loss. If you are looking to make strides toward losing weight but aren’t at the high mileage or activity of a marathoner, start by setting the simple goal of walking 30 minutes a day. Stiff joints and muscles can lead to problems down the road such as arthritis and more, so walking daily can help minimize your risk in the future. 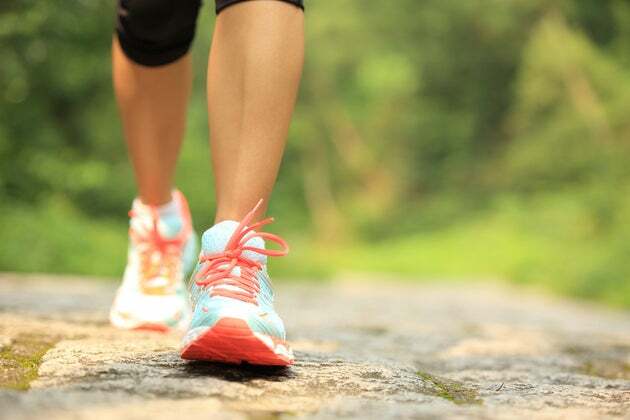 These benefits are not unique to those who are starting from square one; even if you are following a training plan or regularly work out, you should still be taking advantage of the many benefits of walking. Even if you are an avid runner, should you still try to walk 30 minutes a day on your rest days? “Walking for runners on their rest days is not only acceptable…I encourage it,” notes Dr. Tehrany.